It did not take long before Ricky realized that others in his cohort were in the same boat. “I heard from students, faculty, and staff that we were in this together,” Ricky says. It helped that he had a supportive wife at home text messaging him that she believed in him, too. Ricky was born on the mainland while most of his family has their roots in Puerto Rico, where many still live and serve Jesus. Like a majority of the 3.4 million residents of the island, Ricky’s immediate family was affected when Hurricane Maria wiped out much of the infrastructure and left them without electricity and clean water. As the senior pastor at The Walk Foursquare Church in Tampa, Florida, Ricky believes that God’s timing was perfect and that what he learned in the MASL program has helped him respond more effectively to the needs of people in Puerto Rico. Further, the program offered Ricky skills and insights that he needs and uses in his pastorate and in his outreaches throughout the Caribbean. 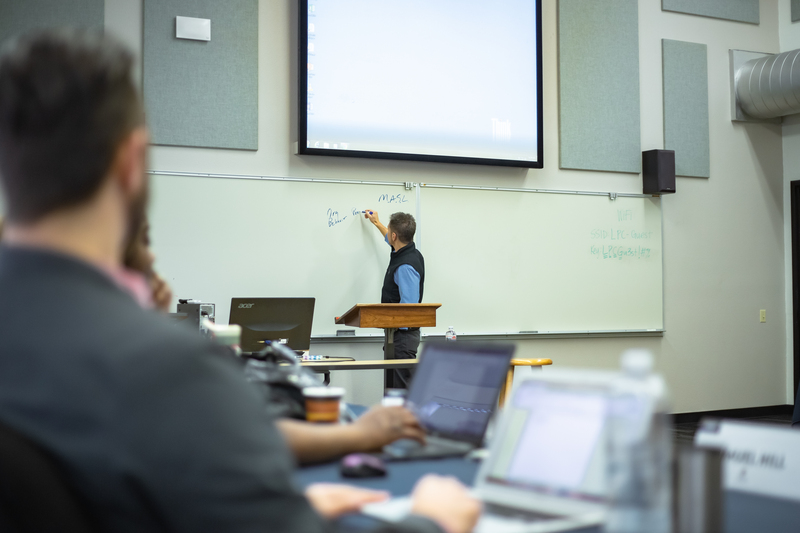 “I had been in ministry leadership for almost three decades, and participated in nearly every training program Foursquare offers at the divisional, district, and national levels. 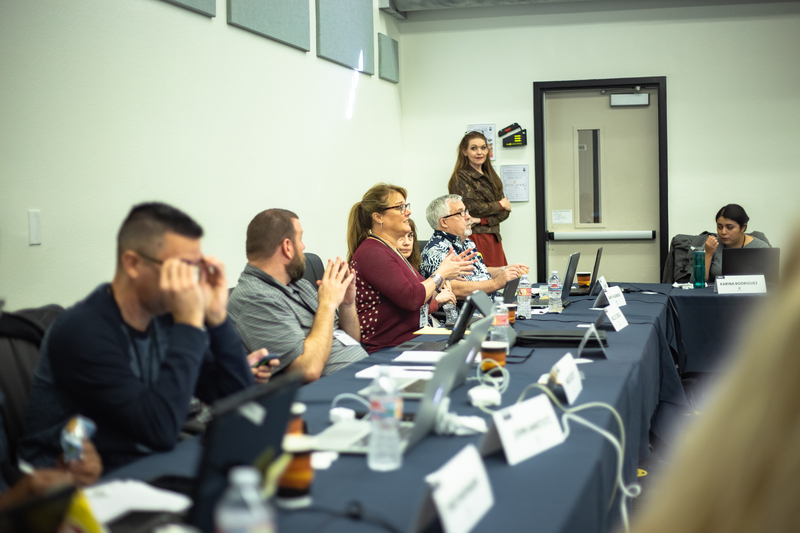 The MASL program provided me with an understanding of strategy, contextualization, and innovation that have become indispensable tools,” Ricky says. “I don’t know how we would have made it through such a difficult time without the support of this professor,” Ricky says. After completing the MASL, Ricky launched a small business with global clients. He still pastors full time and his wife Kari-Ann co-pastors the congregation and works a job outside the church. Together, they have hosted 19 mission teams from the U.S. to Bayamon, Puerto Rico, at the family home called Casa Bienvenida that Ricky remodeled in December 2017 and named after his grandmother who helped him through Bible college. 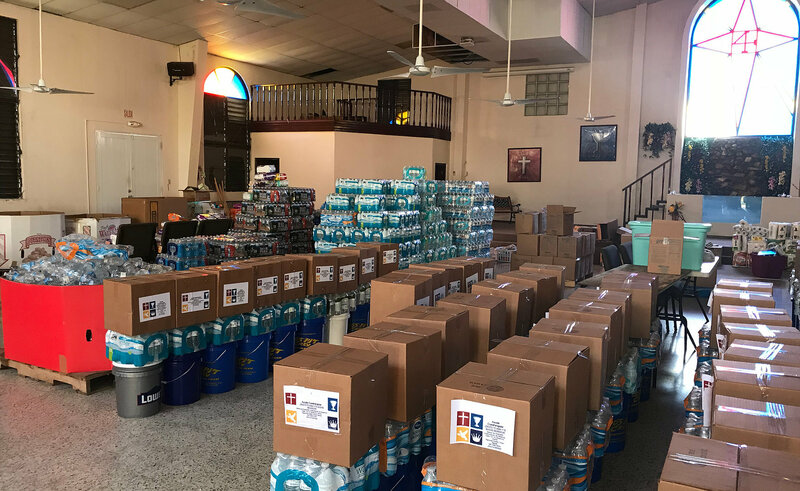 With the help of Foursquare Disaster Relief, CitiImpact, and Foursquare churches on the mainland and in Puerto Rico, Ricky and Kari-Ann have rebuilt four churches on the island, distributed over 500 water purification filters, provided food and supplies to over 1,000 families, helped rebuild a public school, repaint a city owned basketball court, welcomed a new church into Foursquare, and networked flourishing relationships between mainland pastors and island pastors. Pastors Trey and Gretchen Abney from The Refuge Church in Marietta, Georgia, will begin a new 20-week mentorship program in February 2019 with Puerto Rico NextGen leaders. Gretchen was a member of the same MASL cohort as Ricky and their shared learning experiences will take on entirely new importance as this new mentorship spreads throughout Puerto Rico. Perhaps most of all, Ricky believes the MASL program taught him to keep transformation in focus and to help bring about a culture of innovation as he serves people, Jesus, and the Church.